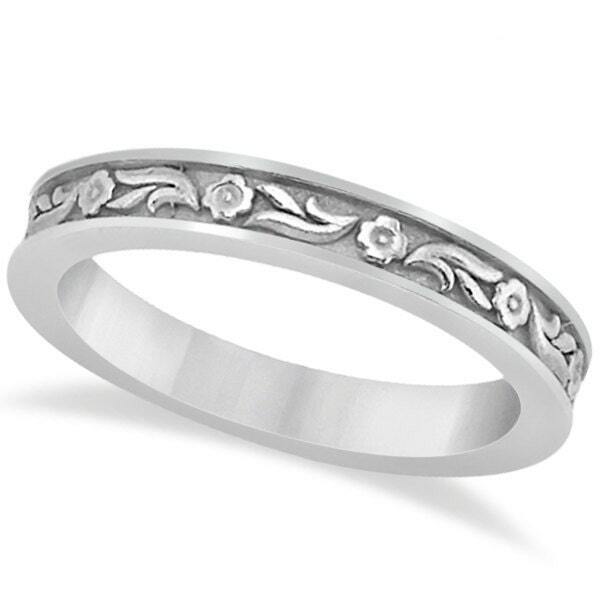 This style carved wedding band feature Flower Design. 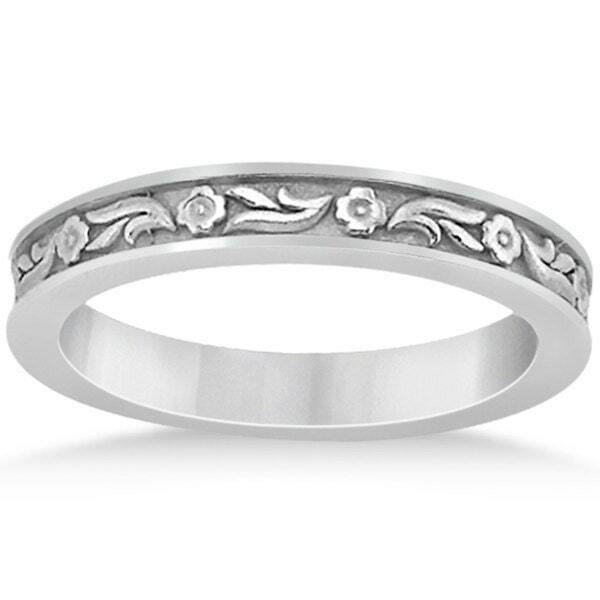 The ring is crafted in 14kt white Gold.This ring is absolutely stunning and I am confident you will love it. Perfect for Weddings, Mothers Day, Birthdays, Valentines Day, Graduation, Christmas or just about any other occasion. It is also available in 14k rose and yellow gold. Other stones options also available. Please message for more detail. Thank you.